Erasmus+ is the EU's programme to support education, training, youth and sport in Europe. Its budget of €14.7 billion will provide opportunities for over 4 million Europeans to study, train gain experience, and volunteers abroad. The aim of Erasmus+ is to contribute to the Europe 2020 strategy for growth, jobs, social equity and inclusion, as well as the aims of ET2020, the EU's strategic framework for education and training. Detailed information on these opportunities, inluding eligiblity criteria, is available in the Erasmus+ Programme Guide. An indicative funding guide for some centralised opportunities is also available. Youth Exchanges: They allow groups of young people from at least two different countries to meet and live together for up to 21 days. During a Youth Exchange, participants, supported by group leaders, jointly carry out a work programme (a mix of workshops, exercises, debates, role-plays, simulations, outdoor activities, etc.) designed and prepared by them before the Exchange. European Voluntary Service (EVS): This activity allows young people aged 17-30 to express their personal commitment through unpaid and full-time voluntary service for up to 12 months in another country within or outside the European Union. Young volunteers are given the opportunity to contribute to the daily work of organisations dealing with youth information and policies, young people's personal and socio-educational development, civic engagement, social care, inclusion of disadvantaged, environment, nonformal education programmes, ICTs and media literacy, culture and creativity, development cooperation, etc. Youth workers' training and networking: This activity supports the professional development of youth workers, through the implementation of activities such as transnational/international seminars, training courses, contact-making events, study visits, etc. or job shadowing observation periods abroad in an organisation active in the youth field. All these activities are arranged by the organisations participating in the project. More information about this Key Action 1 on the official website of the programme. 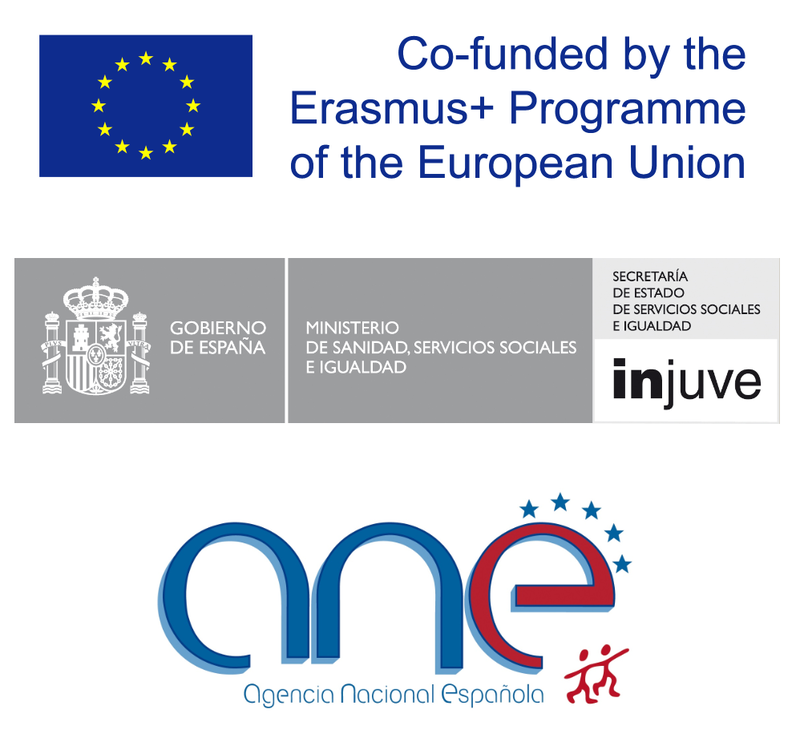 ReYion is funded under the Key Action 2 of the Erasmus+ programme: Strategic Partnerships. These are transnational projects designed to develop and share innovative practices and promote cooperation, peer learning, and exchanges of experiences in the fields of education, training, and youth. Overall, strategic partnerships aim to address horizontal priorities as well as field specific priorities in the areas of: Higher education, vocational education and training, school education, adult education and youth. There are two kinds of Strategic Partnership; those supporting innovation and those supporting the exchange of good practices. Promoting quality youth work. Priority will be placed on projects that: support the capacity building of youth workers and in youth work; support youth workers in developing and sharing effective methods in reaching out to marginalised young people and in preventing racism and intolerance among youth; foster the inclusion and employability of young people with fewer opportunities (including NEETs) giving particular emphasis to young people at risk of marginalisation and young people with a migrant background, including newly arrived immigrants and young refugees; promote intercultural dialogue and strengthen knowledge and acceptance of diversity in society; open up youth work to crosssectorial cooperation allowing greater synergies across all fields of actions concerning young people; easier transition of young people from youth to adulthood, in particular the integration into the labour market; developing their competences, setting quality standards, ethical and professional codes; reinforce links between policy, research and practice; promote better knowledge about the situation of young people and youth policies, recognition and validation of youth work and informal non-formal learning at European, national, regional and local levels. Promoting empowerment: strengthen the cross-sectorial cooperation allowing greater synergies across all fields of actions concerning young people, with a special focus on access to rights, autonomy, participation - including eparticipation and the active citizenship of young people, notably those at risk of social exclusion, through projects that: foster stronger participation of all young people in democratic and civic life in Europe; broaden and deepen political and social participation of young people at local, regional, national, European or global level; foster volunteering among young people; increase social inclusion of all young people, taking into account the underlying European values; promote diversity, intercultural and inter-religious dialogue, common values of freedom, tolerance and respect of human rights; enhance critical thinking and media literacy of young people; strengthen their sense of initiative notably in the social field; enable young people to connect with, express their opinions to and influence elected policy-makers, public administrations, interest groups, civil society organisations, or individual citizens within any of the political or social processes affecting their lives. Promoting entrepreneurship education and social entrepreneurship among young people. Priority will be placed on projects in the form of transnational youth initiative that allow groups of young people to put ideas into practice, including through social enterprises, tackling challenges and identified problems in their daily lives. More information on the field-specific priorities is available in the Programme Guide. Already available the manual of ReYion!